Bound by Indian Bend Road on the South, Shea Boulevard on the North, Scottsdale Road on the West and 110th St on the Easternmost edge (Southern portion of the zip actually terminates at Pima Road), the 85258 zip code of Scottsdale is home to some of the most sought after Real Estate in the entire Valley. 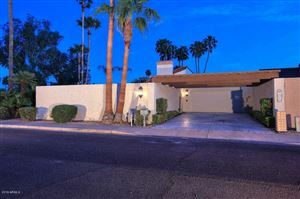 Notable subdivisions that fall within its borders are the planned communities of McCormick Ranch, Scottsdale Ranch, Gainey Ranch as well as well known subdivisions such as Paradise Valley Farms and Sands Scottsdale. Parts of the Saguaro, Desert Mountain and Chaparral High School Districts comprise the 85258 zip, along with Mohave, Mountainside and Cocopah Middle Schools, and Kiva, Laguna and Cochise Elementary Schools. Latest homes listed for sale in the 85258 zip code.